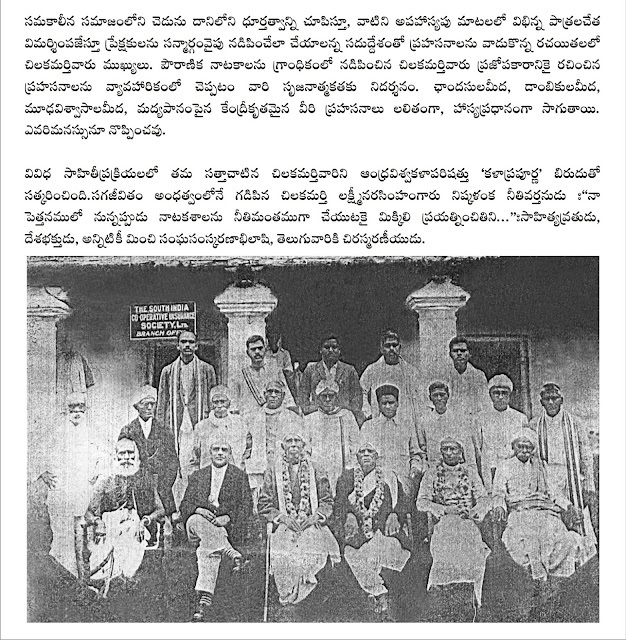 Chilakamarthi Lakshmi Narasimham was born on September 26, 1867, at Khandavalli West Godavari Dt., Andhra Pradesh, to Shri Chilakamarthi Venkanna and Smt. Venkataratnamma. Narasimham was visually impaired since his youth, and became blind after his graduation. Yet, his contribution to Telugu literature was monumental—he wrote verses, plays (26), Prahasanas (more than a dozen), novels (more than a dozen), stories, and biographies. 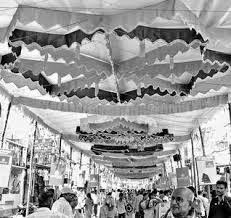 Chilakamarthi Lakshmi Narasimham also started and ran three magazines — Saraswathi, Manorama and Desamatha. 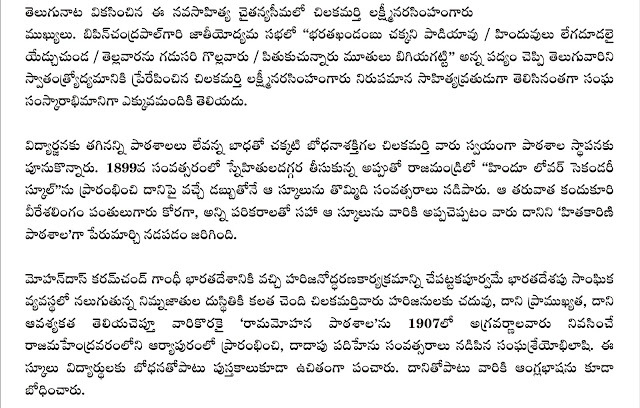 His best-known plays are probably Gayopakhyanam (1909) and Ganapathi (1920). 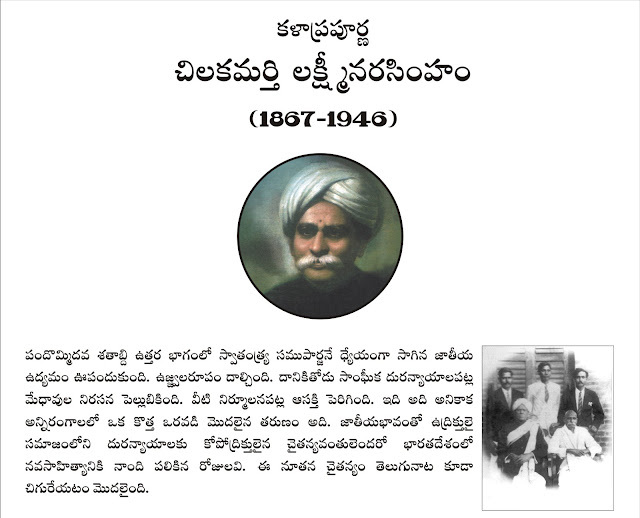 His play, Gayopakhyanam, is the only Telugu book to have sold more than 1 lakh copies. It also enjoys the record for the highest number of performances. He was an active participant of the Indian independence struggle. He eschewed "foreign cloth" and wore Khaadi shirt, coat and turban. 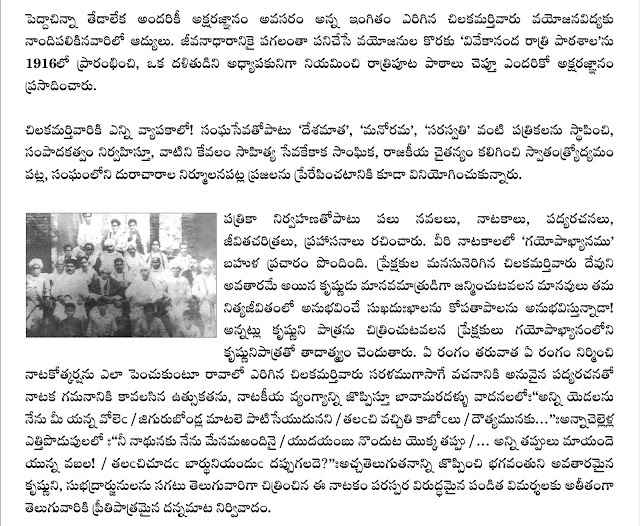 Much before Gandhiji, he took up Harijan cause: started Rammohana Pathasala in 1909 for Harijans. His poems vividly reflect the then prevailing social and political circumstances. Driven by nationalistic fervor, he wrote the poem “Bharata Khandambu Chakkani Paadi Aavu”.